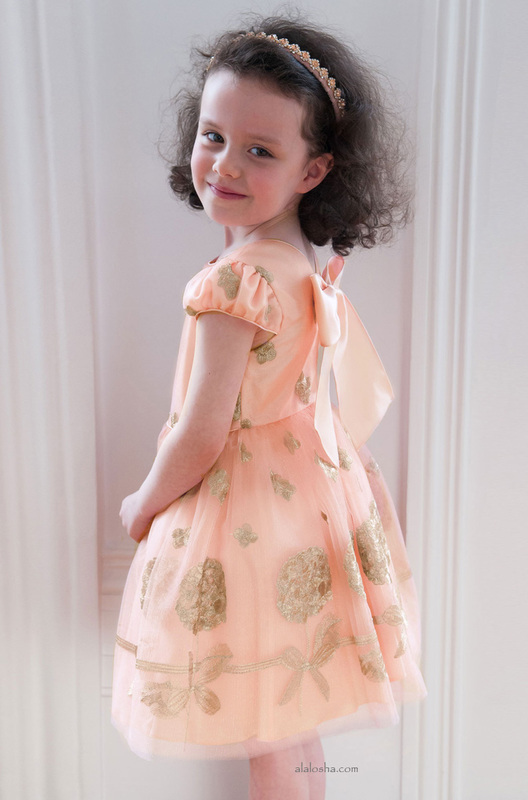 From wedding guest dresses to Christenings and more, David Charles has all of the children formal dresses you could dream of to ensure your little one looks the part at any special event. 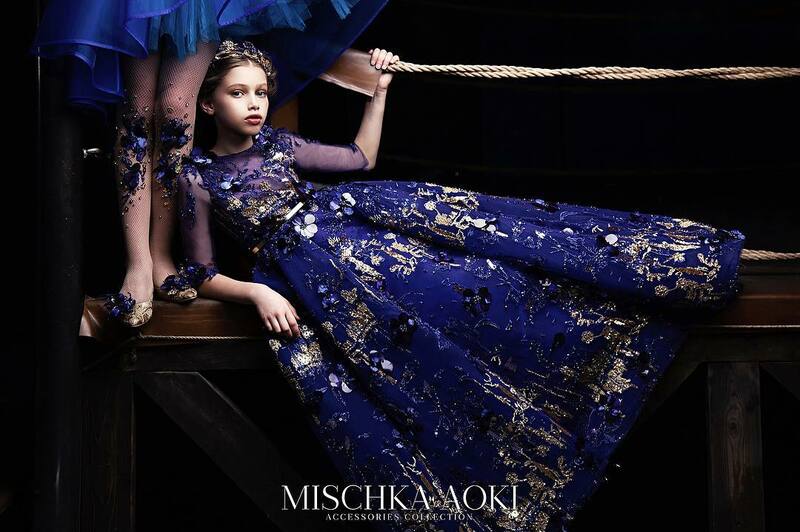 David Charles children formal dresses look smart and stylish and are suitable for formal events of all kinds. 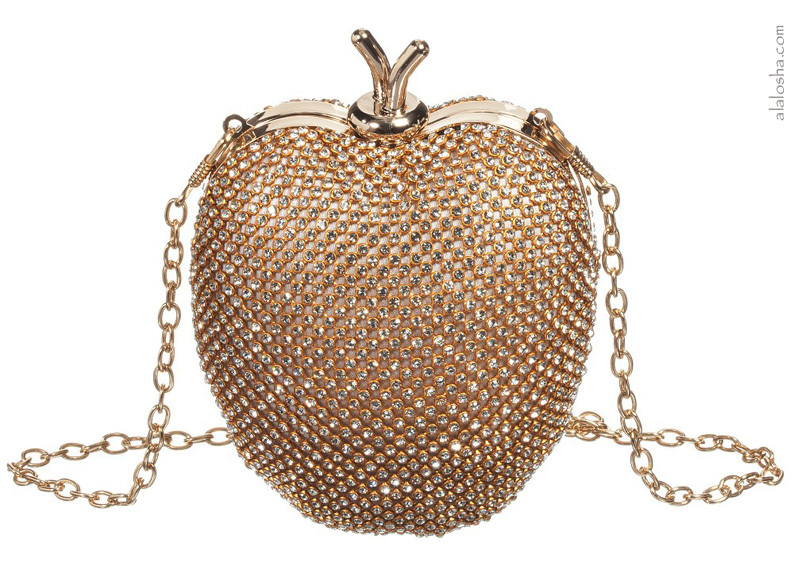 Girls apple shaped shoulder bag by David Charles. 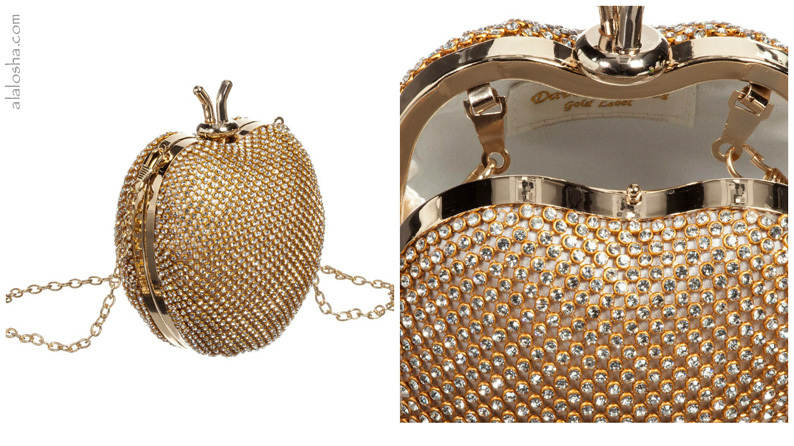 A gold bag embellished with sparkling diamanté and metallic gold trims. It has one compartment with a stalk-shaped snap fastening and a white satin lining, suitable for carrying small items. It has a detachable metallic gold shoulder strap. 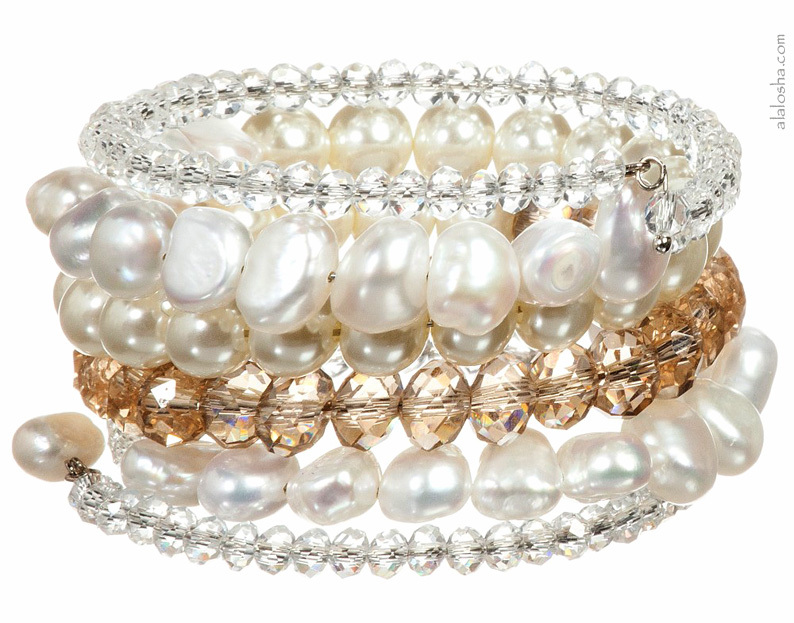 Girls pretty coiled style bracelet by David Charles. 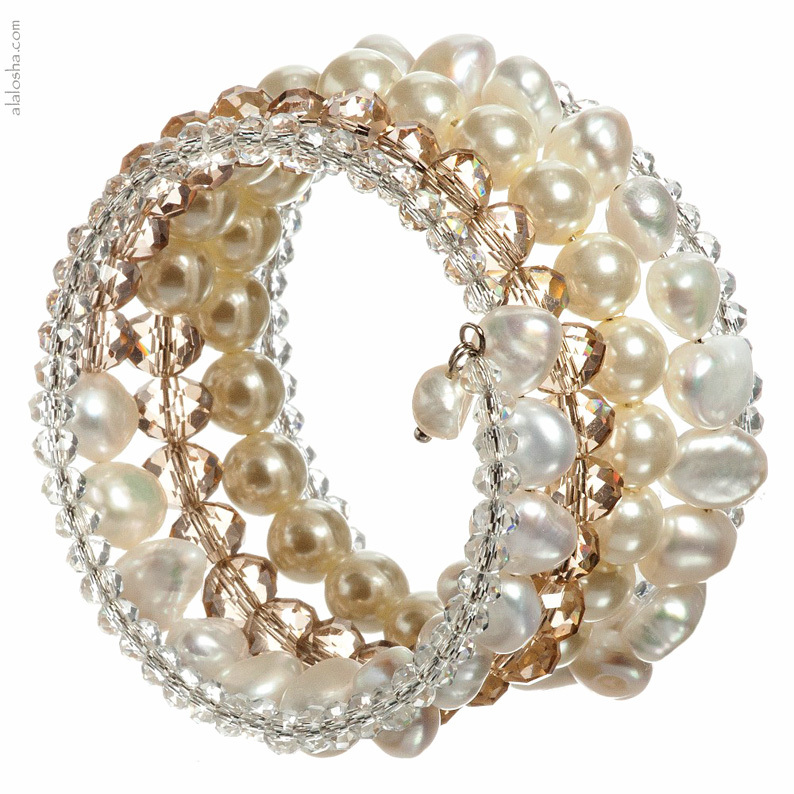 The flexible bracelet has gorgeous freshwater pearls with a mix of clear and amber crystals and pearl stone beads. Easy to wear it simply twists around the wrist. Girls pretty salon pink dress by David Charles. Made with layers of soft tulle over silky fabric and fastens with a zip at the back. It is decorated with bronze flowers, which are larger around the hem and has pink satin trims and bow at the back. The bodice is fitted, has puffed sleeves and the full and voluminous skirt is gathered at the waist, with a tulle frill attached to the silky lining. This dress would be ideal for bridesmaids or other special occasions. Girls stunning white dress suitable for bridesmaids and other special occasions by David Charles. 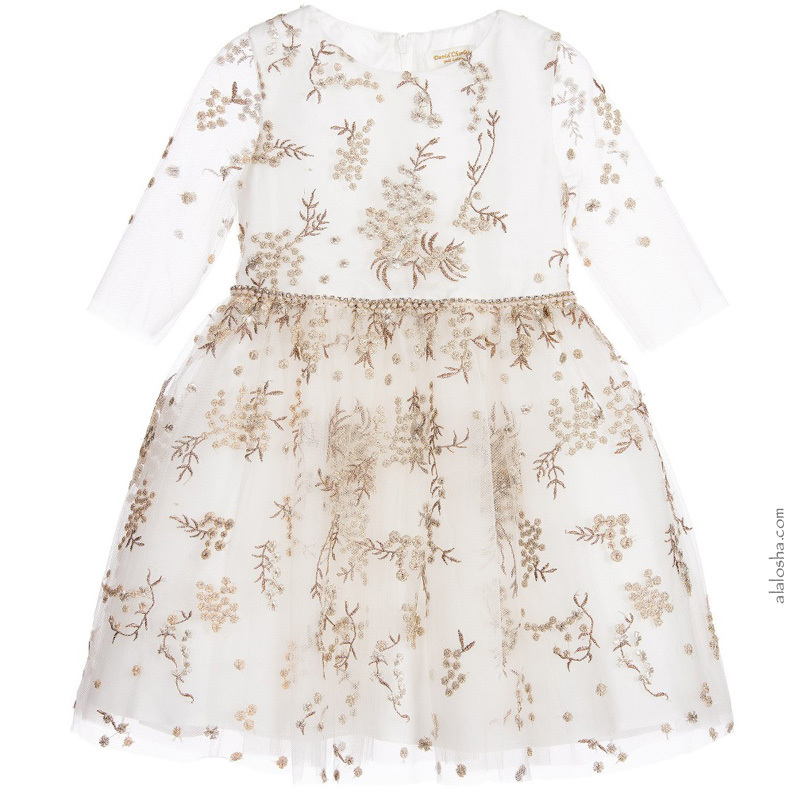 Made with tulle over silky fabric and decorated with gold embroidered flowers. The fitted bodice has sheer three quarter length sleeves and a zip fastening at the back. 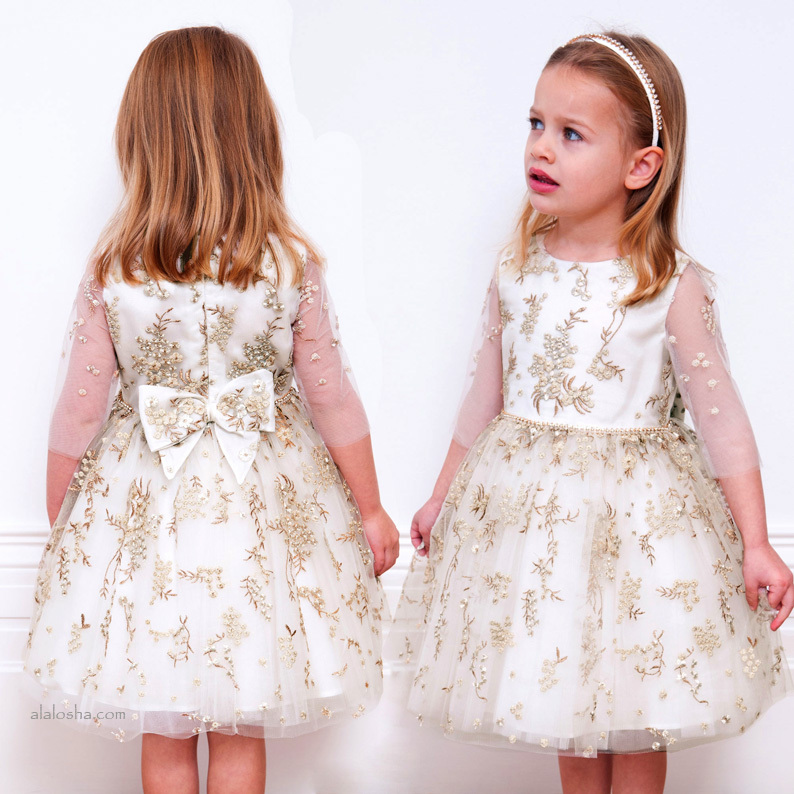 It has a pretty pearl bead and diamanté trim on the waist with a bow appliqué at the back. 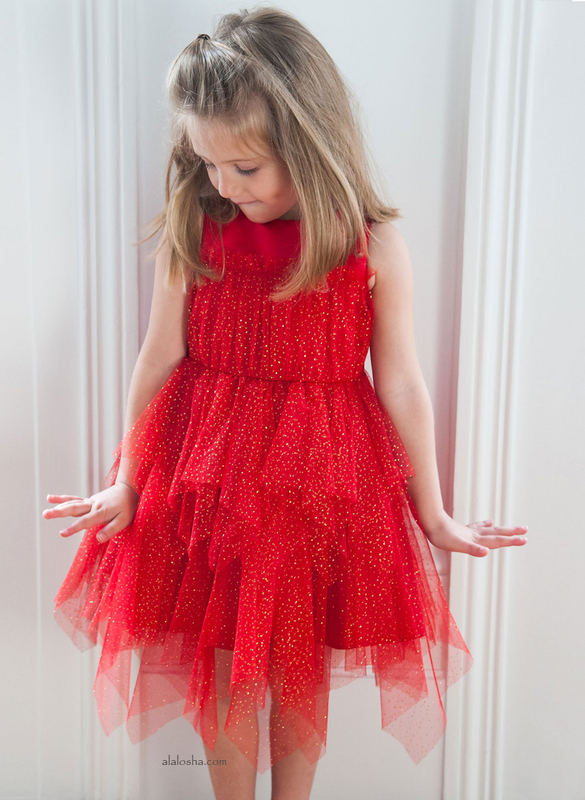 The full and voluminous skirt has layers of tulle gathered at the waist and a tulle frill attached to the silky lining.